The Frynge is offering a 5 page web site design for any small business. The typical price is: around $650.00 with hosting and domain for one year. All prices do not include GST. Expect the type of quality below. Feel free to request a small business web design quote for your web design project today! We did a basic flash design banner for CFE Vancouver, and their back end as well. Consisting of website search engine, fraud examimer database that is fully updateable as well as other admin functions for their membership. Please feel free to request a quote today, to see how much your project will cost. 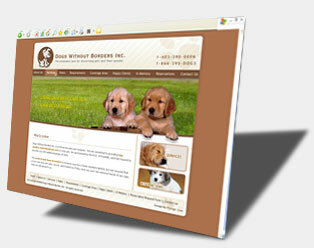 We designed a beautiful flash website for Dogs without Borders. 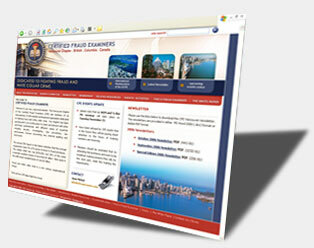 This is the typical small business flash design and is a great website. Easy to navigate, clean and informative. Make sure you go request a free quote today, if you have any questions on pricing.